Download our white paper to learn about the strategic advantage open source ERP provides to small and midsize businesses. With hundreds of ERP options on the market today, choosing the right ERP application for your business is no easy task. Issues to consider include system cost, adaptability, product support, employee training and overall project management. 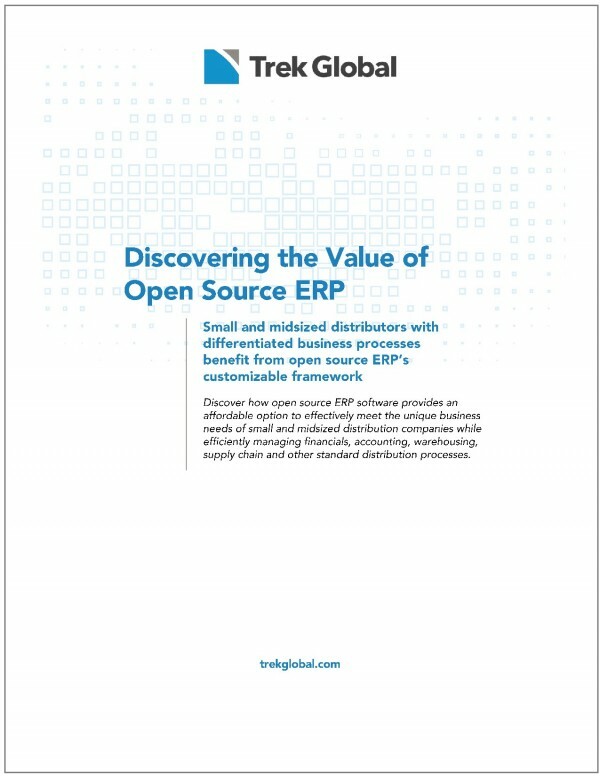 In our white paper, “Discovering the Value of Open Source ERP,” we bring insight to the affordability of open source ERP and its viability in managing complex and unique business environments. When you consider that 42% of all ERP implementations fail because the software does not deliver the anticipated benefits, doing your research on ERP options is critical. Our white paper also answers six vital questions for the CEO and CTO who want to know if open source ERP is worth considering.